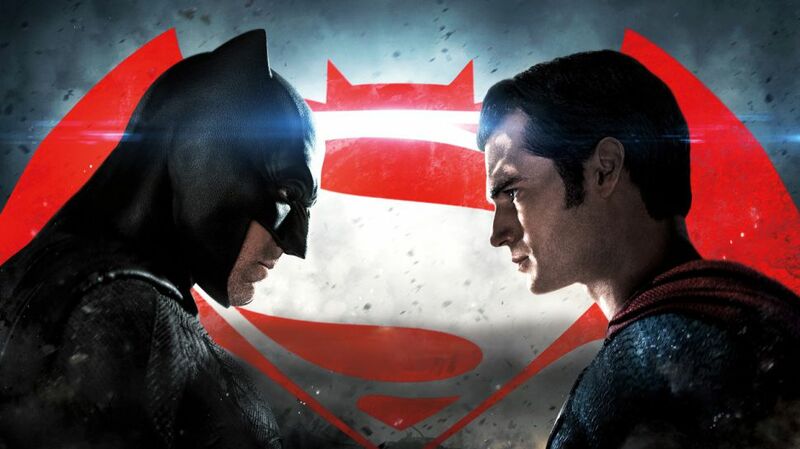 'Batman V Superman' was this year's most polarizing film creating an entire cottage industry in think pieces. If you're one of the many folks who liked or loved it (with almost $900 million in box office receipts it would seem plenty did) Warner Bros announced details for the Batman v Superman: Dawn of Justice Ultimate Edition Blu-ray today. There's a new trailer which features lots of new footage including a look at Jena Malone who was cut from the theatrical version. The 3-hour cut is rated R for violence making it 30 minutes longer than the one shown in theaters. 'Batman V Superman Ultimate Edition' arrives on Digital HD on June 28th along with the theatrical version of the movie, and both will be available to buy on Blu-ray Combo Pack, DVD, and Ultra HD Blu-ray on July 19th. See the official press release for all the details and descriptions of the film versions and extras. Burbank, CA, June 2, 2016 – Prepare for war when “Batman v Superman: Dawn of Justice” arrives onto Ultra HD Blu-ray Combo Pack, Blu-ray 3D Combo Pack, Blu-ray Combo Pack, DVD and Digital HD. The extended cut will be available on all Blu-ray formats and Digital HD. “Batman v Superman: Dawn of Justice Ultimate Edition” features an extended cut of the film which includes 30 more minutes of story and action not seen in theaters. The extended cut is rated R.
“Batman v Superman: Dawn of Justice” will be available on Ultra HD Blu-ray Combo Pack for $44.95, Blu-ray 3D Combo Pack for $44.95, Blu-ray Combo Pack for $35.99 and 2-disc DVD Special Edition for $28.98. The Ultra HD Blu-ray Combo Pack features an Ultra HD Blu-ray disc with the Ultimate Edition in 4K with HDR, a Blu-ray disc with the theatrical version and special features in HD, and Digital HD versions of both the Ultimate Edition and theatrical version. The Blu-ray 3D Combo Pack features the theatrical version of the film in 3D hi-definition and hi-definition, as well as the Ultimate Edition in hi-definition; the Blu-ray Combo Pack features the Ultimate Edition and theatrical version of the film in hi-definition on Blu-ray; and the DVD features the theatrical version in standard definition. The Blu-ray 3D Combo Pack and Blu-ray Combo Pack include digital versions of both the Ultimate Edition and theatrical version movies in Digital HD with UltraViolet*. 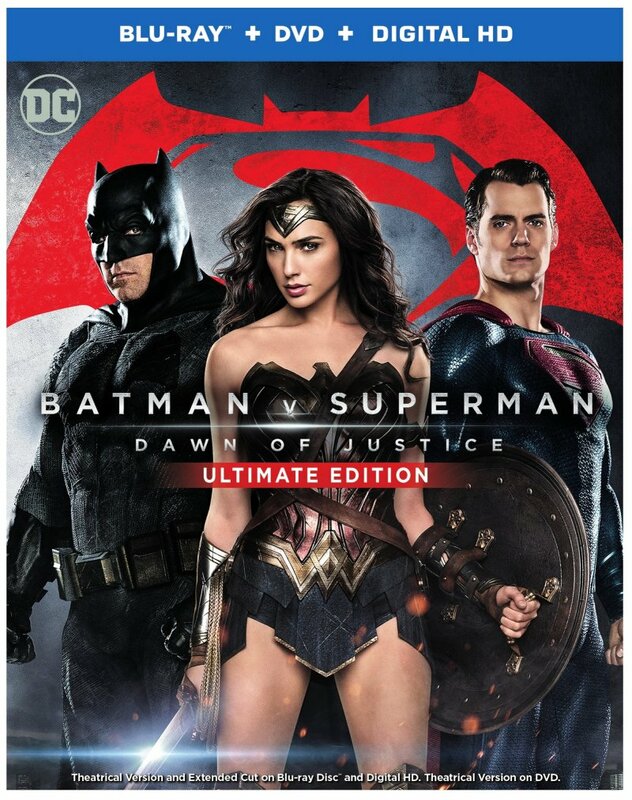 Fans can also own “Batman v Superman: Dawn of Justice Ultimate Edition” via purchase from digital retailers. The Blu-ray discs of “Batman v Superman: Dawn of Justice Ultimate Edition” will feature a Dolby Atmos® soundtrack remixed specifically for the home theater environment to place and move audio anywhere in the room, including overhead. To experience Dolby Atmos at home, a Dolby Atmos enabled AV receiver and additional speakers are required. Dolby Atmos soundtracks are fully backward compatible with traditional audio configurations and legacy home entertainment equipment that aren’t Dolby Atmos compatible. Batman v Superman Dawn of Justice blu-ray DC Comics DVD Jena Malone movie trailer video Warner Bros.
Labels: Batman v Superman Dawn of Justice blu-ray DC Comics DVD Jena Malone movie trailer video Warner Bros.